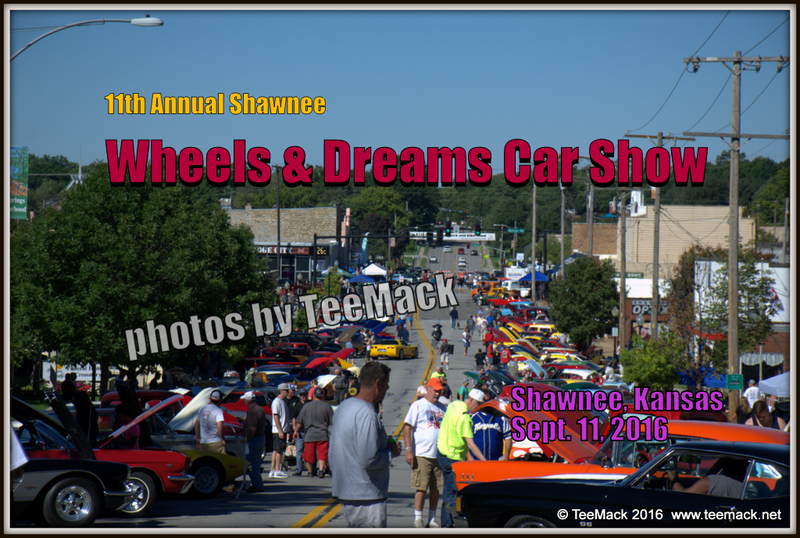 The 11th annual Shawnee Wheels and Dreams Car, Truck, and Bike show was held in downtown Shawnee, Kansas on Sept. 11, 2016. The annual event is sponsored by the Shawnee Downtown Business Association. 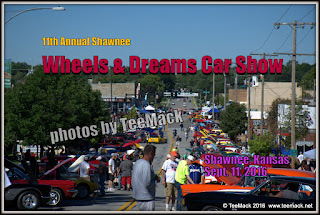 The city blocks off Neiman and Johnson Drive in downtown Shawnee, Kansas, to allow all the vehicles to be displayed. Money raised during the event helps to support local charities. The weather was fantastic for the event with clear skies and temperatures in the low 80's. This year’s event had over 320 vehicles on display. Click here to view individual photos or to purchase high quality prints.